I am disciplined when it comes to healthcare and I do a lot of exercise and take a lot of fluid,” she began, revealing her beauty regi-men. Chukwurah came into limelight in 1984 starring in the now rested soap, Mirrow in the Sun. She has over the years proven that she is indeed one of the best in her chosen career. Little wonder she is often in high demand in the industry. 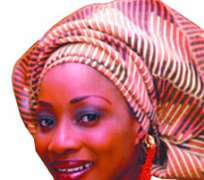 Her fame both in Nigeria and abroad, she claims, has earned her goodwill around the globe. It is, perhaps, as a way of giving back to society that she floated the Clarion Chukwurah Initiative, a Non-Governmental Organisation (NGO), designed to support the less privileged in the society. Over the years, the initiative, she said, has touched, positively, the lives of several less-priviledged homes. To further its course, the initiative is currently organising The Colours of Innocence, an awareness campaign which is expected to be unfolded on the last Saturday of February at the Planet Nollywood, London. “We are inviting people from all over the world. We don't want their money. All we are asking is for them to choose an orphanage in Nigeria and help them out. We are only involved in the monitoring aspect,” Chukwurah told http://nollywoodgists.com. One other distinct quality of Chukwurah is her amazing ability to say things the way they are not mincing words. Often she has been criticised and called many derisive names. In this interview with http://nollywoodgists.com, she explains what propels her. She has appeared in several stage productions, soap operas and over 74 home videos. Do enjoy our time-out with this exceptional actress. You've been involved in several humanitarian works, when and how did it start? The Clarion Chukwurah Initiative began 10 years ago. It came out of the African Dance and Drama which was a community data project that took off in 1998 when I returned from England. Then, in year 2000 it transformed into the Reversing Generation X, a youth empowerment project. And in 2001, it evolved again into the Clarion Chukwurah Initiative, a child assistance project. The primary objective from the very first time is to use the Clarion Chukwurah celebrity status and the goodwill she has earned both within and outside the country to source for support for the less-privileged homes in Nigeria. I came in contact with abandoned children through the Arrows of God Orphanage in year 2000 when I observed the recovery of abandoned children and the daily sacrifices in the labour of love. I saw a pair of male twins who were abandoned at the Isolo refuse dump. They've been there for about three days and they had even maggots on them, among other things. The struggle to make sure this kids survived drew me into this. Are you planning on running or having a home? Thank you. But my objective is not to own a home because it will restrict what I really want to do. My goodwill is worldwide. I will be limited by owning a home and there is little I can do. For 2009, our aim is to introduce these homes to Nigerians in the diaspora. That's why we are having our first event, the Colours of Innocence campaign, in London, at the Planet Nollywood on February 28. That event is going to have Nigerians coming in from all parts of the world. We have about 100 homes we want to introduce to them. We have a list of their needs and we are going to ask them to choose a home, get in touch with them and decide what they want to do for them. Do you use your personal funds to finance this project? As hard as it may sound, this initiative has been financed by Capital Dreams Pictures, my son's company, Clarion Chukwurah Trade and Enterprise and a few other individuals like Abimbola Fashola, Christy Igbokwe, Adunni Bankole, Kuburat Okoya, Ekeku Fatoye, Jimmy Jatt, Adrien Gbinigie, David Bakare and a few other individuals who are helping because they are my friends and believe in what I am doing. When people see you, they see an artiste who has seen it all in almost all facets of acting: stage, television and Home video productions. How have you been able to achieve all this? Because I am a well-trained actress. I was trained to act for the stage and for the screen. These are two different kinds of training. If you bring the acting style of stage to the screen, you will be over-acting. As a stage actor, you must exaggerate your movement so that everyone can see and understand you. For the screen, you need to reduce all that. Which of them did you start with? I started doing both at the same time because I passed through training of both almost at the same time. I trained at the Nigerian Television, Ibadan. I also studied at the University of Ibadan Workshop Theatre, before I went to study Dramatic Arts. I have done refresher courses in speech in England. In all, what I am trying to tell you is that, I am properly trained and that is responsible for the believability of my acting and skills that have been appreciated over the years. In what production did you first appear? I did two productions in the month I started. That was in October, 1979. Jumoke Payne's Market Women where I played the role of an extra, and Bode Sowande's play, I can't remember the title now-but I was an house girl and I had just one line: “yes ma.” But two months later, he starred me in a newly published play entitled Farewell to Babylon, in the lead role of Jolomi Tutu. I also acted in a weekly tele- drama series. Many people still remember seeing you as Tinu in the now- rested soap, Mirror in the Sun. Would you agree that's the role that brought you to prominence? In 1982 while I was an undergraduate of Dramatic Arts, University of Ife, Ile Ife, I was chosen to play Yemi in Ola Balogun's play, Money Power. Their appreciation of my acting in that production was what made them in 1984, after the pilot of Mirror in the Sun had succeeded, to say they wanted a new cast of the character, Tinu. I was introduced to Lola Fani-Kayode, then I was employed. But really, I became a star from Money Power. I only became a household name from Mirror in the Sun . How do you manage to glide from being an exceptional English movie actress to either Yoruba or Igbo productions. You seem to do this almost effortlessly. What's the magic? Have you come to that time yet in your career? We all have had it but with training and experience and consistency that cushioning effect that will throw you back, will be there. You don't understand the industry you are dealing with if you don't learn how to behave, handle stardom or the business angle. Many people see you as a no-nonsense kind of actress. Do you think this perception rubs off when producers cast you for roles. I ask this because they give you roles that portray you as wicked? I think the casting aspect has to do with the mediocrity that is the norm in the industry. In the last 10 years of Nollywood, the industry has gradually come down the drain. When you have people who are not casting directors, who don't know anything about characterisation, they see you in the light of the role you have once played so well. This is why Nollywood is being ruled by unprofessionalism. The people who are funding and casting in Nollywood do not understand the concept of the professional actor, that it means you are a master of your act and you can play any role perfectly because you have the power of concentration to convince anyone. You can never watch any movie of mine and see me playing any role the same way. The characterisation and gesture always differentiate the roles. It is not the same way that I played Jane that I will play June. If you are also a keen observer of Nollywood, you'll discover that in the last three years, I have not been doing as many as I used to. One reason that puts us at loggerheads is that I have to be able to justify your script. I have to know why this woman is this way, let the script tell me. I want to see the metamorphosis that brought about the evolution. Some people say you just got too expensive to be hired. How true is it? That's their business. My fee is my fee. The industry broke down to be controlled more and more by mediocres and lack of sales. There was a concentrated attempt to half or quarter the fees of some people and I said “no.” I know they can't pay me for my act, so I told them that they must pay me for my time. Anything less than my fee is not worth my time. Yes. I have made nine Yoruba movies. I have made documentaries and produced some episodes of a T.V soap opera. I do intend to be a television content provider as well as do language movies, the way they are to be made. I don't wish to go further into my plans because a lot of people lack ideas and they will want to steal other people's idea. It has happened to me several times. When I am ready with whatever, you'll hear about it. You are always in the news for one reason or the other. Would you say you are controversial? You started your career with your maiden name. At a time you became an Abiola, then Oduneye. You are now back to your maiden name. Are we going to hear any other surname in the near future? I really don't know. You see, its only in this part of the world that people make a big deal from the fact that you get married, it didn't work out and you divorce. Marriage in my opinion is a fusion of two minds on the platform of joyful co-existence. If it does not work, you don't live in misery but you part as friends. Are you still friendly with your ex-husbands? I am friendly with the fathers of my babies. Do you think they get intimidated by your person? I don't think so. Actually, it's probably their sisters. It's more the female members of whatever family that there is this ego thing. They feel you are somebody they are supposed to be intimidating and they find they can't, so they don't like it. Are you working on a production now? No, not now. I am very busy with my initiative and I have programmes lined up till summer. It's not about jumping into any production just because you have to be acting. I have left that stage. At this stage, I do things that will elevate me spiritually and things that will meet up to my family, fans and people who look up to me. I have a lot of movies that are yet to be released. That is not to say I will not do a production this year. Biologically, I have two kids, maternally five. But I have kids all over the place. How old are you, you look ageless. How do you manage your looks? Thank you, but I am 44-years-old. I am disciplined when it comes to healthcare, hygiene, exercise and food routine. I don't just eat anything. I detoxify. I take a lot of liquid, especially herbal tea.